For nearly thirty years, the world's most accomplished engineers and producers have relied upon Lexicon for their most critical music and sound productions. To satisfy these discriminating media professionals and to meet the new demands of today's increasingly complex sound content, Lexicon introduces a new generation of digital audio signal processing technology with the new 960L Multi-Channel Digital Effects System. Designed specifically for the professional audio, broadcasting, film, post-production and live sound markets, the 960L utilizes a bold new technology platform. it will redefine world-class reverberation with a totally new paradigm of intelligent software algorithms based upon 3DPM™ Technology (3D Perceptual Modeling). This new breakthrough technology introduces entirely new acoustic environments based upon recent critical research on how the human brain perceives complex sounds. Lexicon's 3DPM not only allows sound designers to create the most realistic sounding acoustic environments ever, it also allows for the creation of new and unheard of spaces! The 960L is capable of full 24-bit/96kHz performance and the factory standard I/O configuration boasts 8 channels of XLR-balanced analog audio as well as full AES/EBU digital I/O in a 4-unit, rack-mounting CPU mainframe. 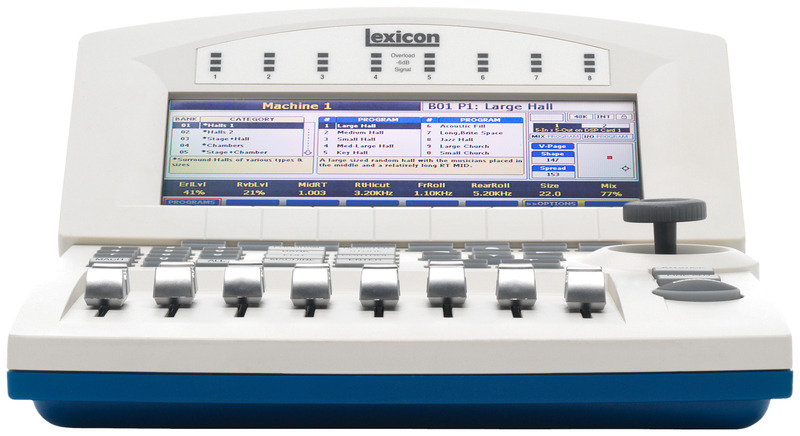 The all-new Lexicon Alpha-numeric Remote Controller (LARC2) compliments the new 960L mainframe. Multiple DSP configurations include: Stereo, 5.1 Surround, Multiple-Stereo, and Stereo plus 5.1 Surround with 44.1, 48, 88.2 and 96kHz sampling rates. The user interface for the 960L is a totally redesigned and enhanced LARC2 remote controller. Fashioned after the original LARC, which sits atop the leading recording and post-production consoles throughout the world, the new LARC2 provides a simple and intuitive user interface based on the world standard 480L. A variety of input control devices are provided for maximum control and these can be custom tailored for additional flexibility. Lexicon commissioned an award-winning industrial design company to co-develop the LARC2. Featuring a highly-stylized design with a large, easy-to-read color backlit LCD display, the LARC2 has eight touch-sensitive motorized faders, a two-axis joystick for surround sound panning/placement control, eight soft and twenty-nine dedicated function keys. using this extensive array of controls, the user has instant access to a variety of parameters including machine and system status, fader label/value, soft key, machine setup/select, system control/edit, mute/bypass and joystick control. 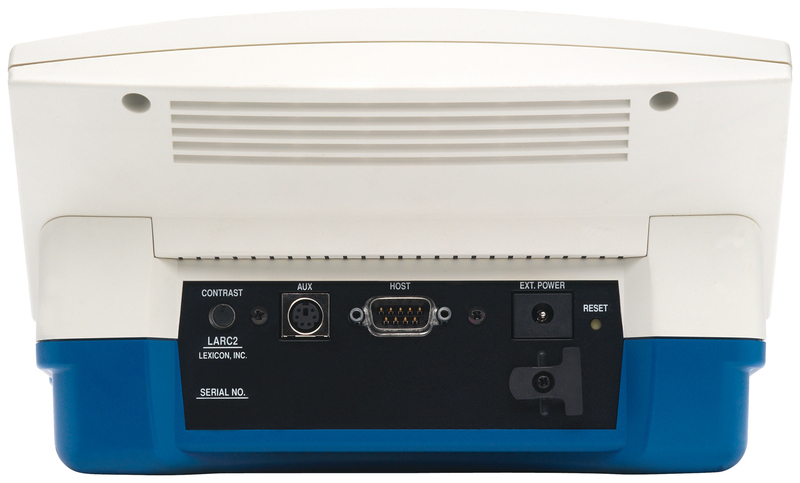 The LARC2 also features and extremely small footprint (8.0" x 10.5" x 5.5") and may be located several hundred feet from the 960L CPU.